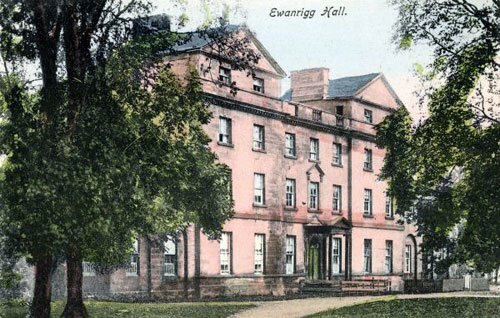 Ewanrigg Hall was once lived in by the Christian family, whose most famous member was Fletcher Christian leader of the mutiny on HMS Bounty. 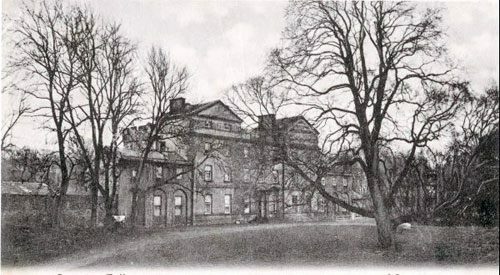 Pictured before demolition in 1903. 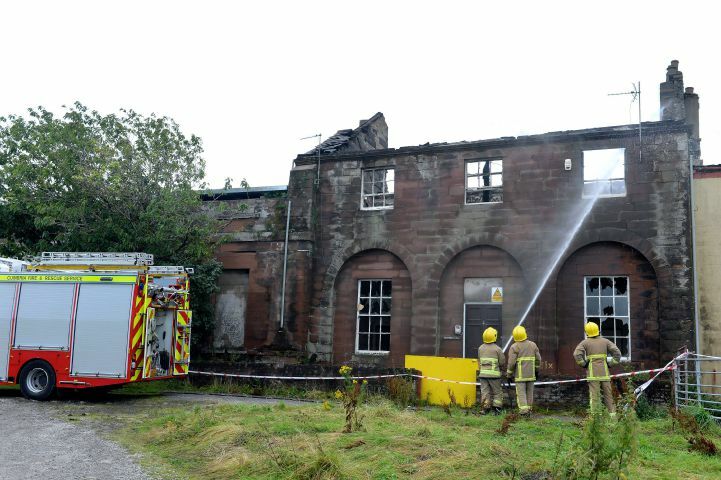 When fire destroyed an empty farmhouse at Maryport in August 2015 there were few tears shed. Its previous owner John Dixon had died in 2012 and the farm had been allowed to deteriorate. The cause of the fire was never determined but suspicion pointed to the work of a grubby arsonist. Whoever started the fire probably didn’t realise that the farmhouse, rather grandly called Ewanrigg Hall, held long forgotten secrets. The flames would eventually consume the first floor and deprive the building of its roof. Only an exposed lintel with the date 1753 offered any clue to its previous existence. Here was the last remnant of a grand house that once stood proudly on the site. For this was once the west wing of Ewanrigg Hall, a late 18th century country house and seat of the Christian family of Cumberland for many generations. The fire might not have meant a tragic end to Ewanrigg but it certainly reflected its circumstances over the past centuries. The house appears not to have been a particularly happy one. Whilst the Christians were Lord of the Manor there were several occasions when the house was unsuccessfully offered for sale and numerous times it was occupied by live-in tenants. In the end it proved to be a millstone for the family who were eventually rid of it by the end of the 19th century. The Christian family had originally settled in the Isle of Man and held chief public offices in the little principality for generations. Their connection with the Ewanrigg estate came about in the late 17th century through circumstances which afford a curious illustration of the manners of the period. The Bishop of Sodor and Man liked to ease the burden of his duties by gambling and, on one unfortunate night, lost a small fortune to Ewan Christian. From his winnings Christian was able to buy the estate and manor of Ewanrigg in Cumberland. Writing in 1688 Mr. Thomas Denton, the County Historian, said “Mr Ewan Christian hath built a good house out of the shell of an old tower,” which suggests it may originally have been an old pele tower. A hand-tinted image of the impressive Ewanrigg Hall from the times of the Christian family. Ewan was blessed with five sons and ten daughters. His successor, John, married a Senhouse of Netherhall, and their eldest daughter, Mary, married Dr. Law, afterwards Bishop of Carlisle, and became the mother of the first Lord Ellenborough, who chose that title in consequence of having been born at Ewanrigg Hall, close to the village of Ellenborough. John Christian’s second son, also John, became his successor and married a Curwen of Workington Hall, and their son, John, marrying his cousin – the heiress of the Curwens – took his wife’s name, and as John Christian Carwen, M.P. for Cumberland, acquired fame as a politician and as an agriculturalist. John Christian’s sixth son, Charles, was an attorney at Cockermouth, and married the granddaughter of Jacob Fletcher, who was descended from William Fletcher who built Cockermouth Hall. Their sixth son was Fletcher Christian, the ill-fated and infamous ‘Mutineer of the Bounty’. Ewanrigg Hall was rebuilt as a spectacular stone-built house in the late 18th century (probably 1753) with views of the Solway Firth and the Scottish mountains beyond. Within there was a large drawing room, a breakfast room, library and eight good-sized bedrooms. The walls of the tower were reputed to be over 5 feet thick. It was also the setting for Limmeridge House in Wilkie Collins’ ‘The Woman in White’, chosen by him when he was travelling through Cumberland with Charles Dickens. The abandoned Ewanrigg Hall was the subject of numerous ghost stories by Maryport locals. For many years it was occupied by Henry Taubmen Christian who died in 1859. 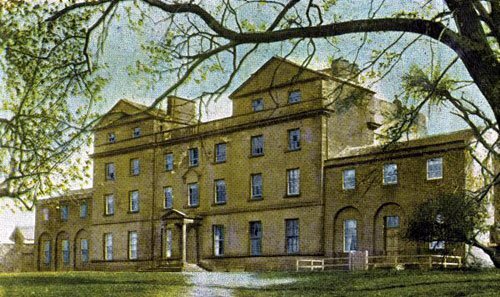 Unfortunately, his widow soon descended into madness and ended her years at Dunston Lodge Lunatic Asylum in Gateshead. The house was left unoccupied, ‘a deserted and decaying mansion’, where ghosts were said to haunt its corridors and where ‘no tenant could be found with enough temerity to take it’. In 1895 the house and its 600 acre estate was offered for auction by order of the Court of Chancery. No purchaser was forthcoming but in 1897 it was sold to Mr. J.R. Twentyman, a wealthy tea trader who lived in Shanghai, and who had previously bid for Dalston Hall. Twentyman spent most of his time in China with seemingly little intention of living at Ewanrigg Hall. It was offered to rent but remained empty falling into further disrepair. It might be suggested that the condition of the house worried Twentyman. Without doubt he was looking for an impressive property in which to display his massive collection of oriental furniture and relics. He pondered on the large amount of money needed to restore Ewanrigg and considered turning his back on it. In 1903 Twentyman made one of his frequent journeys to China but not before making an important decision. He had set his heart on another property and had decided to buy Kirby Misperton Hall near Malton in Yorkshire. He realised the disposal of Ewanrigg might not be so easy and looked for ways in which the estate might pay for itself. In the end he saw agriculture as the most likely way to achieve it. This meant demolishing the bulk of the house with two-storeys pulled down in the central block – the ground floor now used for cowsheds for the adjacent hall farm. A new farmhouse was created at the west end of the house which was the only part not disturbed and still known today as Ewanrigg Hall. Eight years later the farm was sold for £12,000. The majority of the house was demolished with two-storeys removed from central block. And this is how Ewanrigg Hall survived for the next 100 years; its unique identity slowly forgotten until someone tried to destroy it completely. There is almost a happy end to the story. In 2016 the then owner of the farm, Kevin Thompson, announced plans to demolish part of the historic hall as part of a major homes plan. Allerdale Council approved plans for the Grade II listed building and convert it into two houses and four flats. Outline planning permission was also granted to build 124 homes nearby. 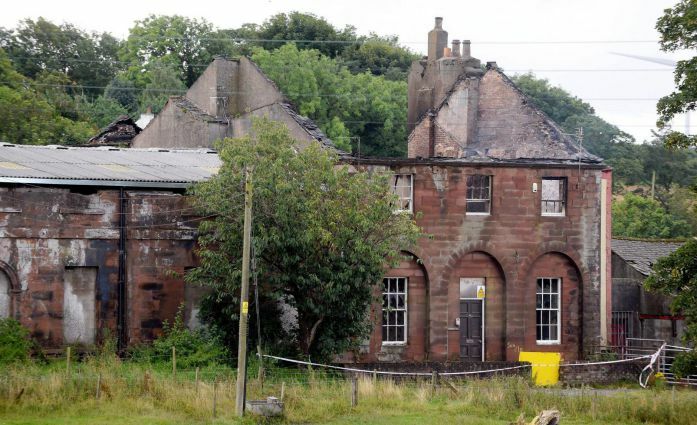 Unfortunately the project never started and in 2017 Ewanrigg Hall was sold to the Home Group who plan to convert it into five homes and build a further 125 homes on surrounding land. I am a descendant of the Christian family. My mother was a Christian. It was so nice to run across this article and learn a little family history. My branch of the family now resides in Missouri in America.They were successful farmers who sold a large tract of land upon which the town was built. My father is a descendant of the Christian Family. He is the son of Charles Christian. My grandfather is buried at Douglas, isle of man.